Revive! 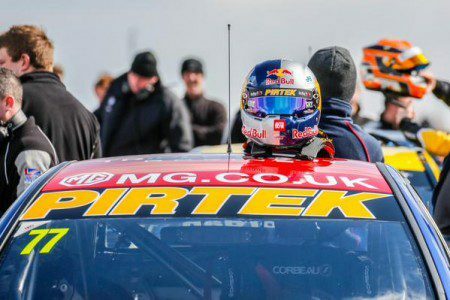 sponsored Andrew Jordan is in confident mood ahead of rounds seven, eight and nine of the Dunlop MSA British Touring Car Championship at the high-speed Hampshire circuit of Thruxton (9/10 May). Despite a tough start to the season at Brands Hatch, Andrew was back at the forefront of the BTCC action at Donington Park with two fourth places and a second. That catapulted him into fourth place in the overall driver championship points, just 12 points away from the early leader. However, there is a chance that the Donington result might get even better as the race officials will meet at Thruxton to consider an incident in the third Donington race when Andrew was pushed wide at Coppice after contact from Matt Neal. An amended result, giving Andrew a belated victory, is one of the possible outcomes. Revive! provides a service fixing minor damage to cars with over 135 technicians nationally servicing the fleet dealer and retail markets.